Skyline Tower Painting is committed to helping you be compliant with all FAA and FCC regulations. Our customers rely on us for professional tower painting and re-lamping with quality and attention to detail kept to the highest standards. We will paint towers anywhere in the United States and we are fully licensed and insured. Get a FREE quote or call us today! 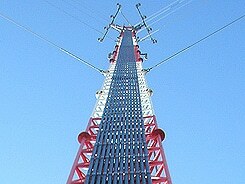 The FCC is increasing their painting and lighting inspections on all towers exceeding 200 ft. Towers that do not meet standards can be fined $10,000 or more per day, until these requirements are met. 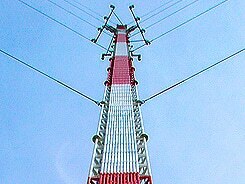 The FAA requires that towers with red light systems be kept up to color spec., or fines will be assessed. Tower paint must meet Federal Standard 595 color #17875 for the white and color #12197 for the aviation orange. Be safe and FCC/FAA compliant...without breaking the bank.